Whether you’re a teacher, community leader, or health professional, your regular interactions with kids provide you with unique opportunities to help shape their healthy hearing habits for life. Here are some ideas you can use to help kids learn about noise-induced hearing loss and how to protect their hearing. Remember to order our free resources to hand out to kids and parents, hang up on walls, or post online for all to see. If your school’s curriculum has a unit related to sound or the human senses, include Noisy Planet’s information about noise-induced hearing loss. Use our games and activities during class time or for homework. If your school has a decibel meter, ask students to measure noise levels in various parts of the school, such as the cafeteria, music room, hallways, and gym. Suggest science fair projects that explore how loud sounds can damage your hearing. Review the anatomy of the ear and educate students about safe sound levels as well as those that can cause noise-induced hearing loss. Teach by example: show your students how you protect your hearing by using hearing protectors. Journey of Sound to the Brain explains how sounds make their way from the source to your brain. Where’s the Noise? describes common sources of dangerous sounds that surround kids. Keep Listening to the Beat give kids ways to protect their hearing and still enjoy the sounds they love. Integrate noise-induced hearing loss prevention messages into band and orchestra classes and rehearsals. Show students how to use hearing protection, specifically hearing protection for musicians. When you can, turn down amplifiers and other sound equipment. Make sure speakers/amplifiers are not positioned near students during performances. Display Noisy Planet posters in your rooms. Hand out Noisy Planet's posters in your room. Include information about healthy hearing habits in e-mail newsletters or other information sent to teachers and parents. Promote healthy hearing habits to thousands of parents and students by using our shareable images and web banners on your website and social media platforms. Consider purchasing a decibel meter to measure the noise levels of gym classes, sporting events, the cafeteria, music classes, and hallways in between classes. Make students aware of how noisy these areas are and point out the potential risk to their hearing. Work with students and teachers to reduce the noise level of the loudest areas. Share hearing protection devices in classrooms that regularly have potentially unsafe noise levels—such as music classes and industrial arts. Discourage “noise competitions” at sporting or other events. Explore opportunities to partner with local drugstores or sporting goods stores to distribute earplugs at school concerts, sporting events, and noisy social events. Encourage science and music teachers to include classroom activities on noise-induced hearing loss. Get the community involved in helping to reduce noise. Write an article for your school newsletter or listserv. Display Noisy Planet posters in common areas and at community events and health fairs. Distribute Noisy Planet’s educational materials to visitors. Schedule a session on noise and hearing loss with your youth program. Use our Kids and Preteens information and activities. Teach kids about noise levels. Use the Listen Up! Infographic to see which everyday noises can be harmful. Share our crossword puzzle or Test Your Noise Knowledge as an activity to reinforce the message. Make sure the sounds levels are safe during events like dances, talent shows, etc. Train your staff to implement safe hearing practices. Discuss with parents and preteens the conditions that affect hearing health. Display Noisy Planet posters and materials in waiting rooms and exam rooms. 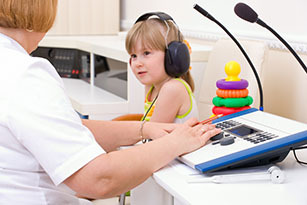 Ask your young patients how loud and how frequently they listen to music through headphones/earbuds. Explain the dangers of noise-induced hearing loss. Be specific about the sources of harmful noise. Use Noisy Planet’s “How Loud Is Too Loud?” bookmark to discuss activities that can be too loud. Urge parents and preteens to get hearing protectors so they can continue to enjoy the sounds they love while protecting their hearing. Give parents our tip sheets before they leave. Inform parents about hearing screenings and alert parents to potential problems if their child complains about hearing issues or if they’ve been exposed to loud noises. Hearing screenings are important for people of all ages and are a quick and cost-effective way to determine if someone is experiencing a hearing problem. Noisy Planet school presentation leads students to measure the decibel levels in their school cafeteria and share the results at the school’s science fair. 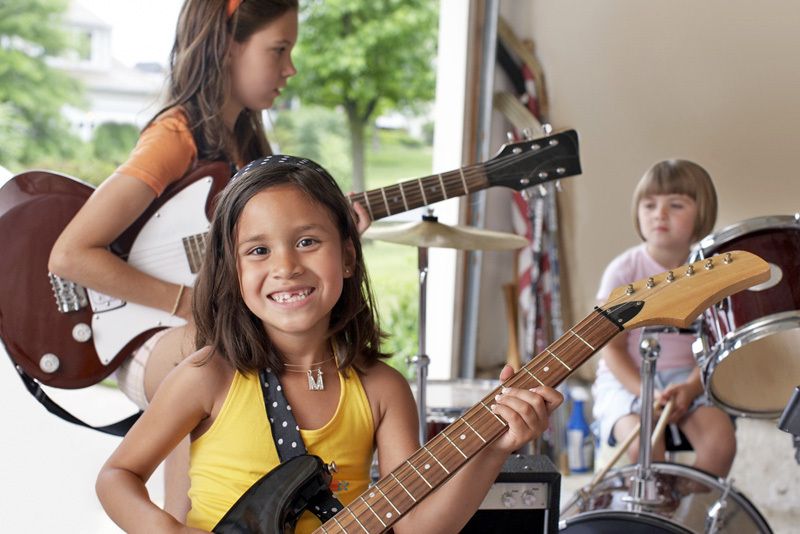 Playing any musical instrument—regardless of size—can harm your hearing, if played loud enough and long enough. To better protect their hearing, musicians wear earplugs.